A Pasco entrepreneur is betting the right development will transform a sleepy stretch of the industrial waterfront into the Mid-Columbia’s next hot destination for visitors. Mitch Gilbert, creator of EatyGourmet LLC, wants to blanket east Pasco’s Osprey Pointe with a tourism-oriented development. The project could include a boutique hotel, restaurants, entertainment outlets, a market with 30 to 40 food-related venues and a mix of commercial and residential development. He has six months to work out the details under a deal announced this week with the Port of Pasco, which owns the 52 acres on the Columbia River waterfront. The agreement preserves public access to the pathway that runs along the shoreline. The deal with the port values the land at $5 a square foot, or about $11.3 million. The project, called Marrow Market Hall, is physically and culturally distinct from a separate effort to build a public market in Pasco. The Tri-Cities Public Market Foundation is considering two Pasco sites for its full-time, year-round public market — one at the Farmers Market downtown and the other on port-owned property next to the cable bridge. The public market would cater to local food and related vendors while serving the entire community. Marrow too will have a market-type offering but it will be populated with boutique food brands, such as bakeries, wineries, creameries and so forth. Public market advocates are cheering for Gilbert, saying the two projects are different enough to not interfere with each other. “It will draw a type of clientele to the area that will be completely complementary to what we are doing with the market,” said Adam Brault, a Richland business owner and long-time market advocate. Gilbert is an experienced entrepreneur who founded Grinders, an Italian restaurant and night club near Seattle in 2004. He sold the business in 2015 and moved to the Tri-Cities with his wife, a Mid-Columbia native. He spied an opportunity to carry out his vision in an area with all the right ingredients for a top-flight visitor spot, including wineries, agriculture and shoreline real estate. He established EatyGourmet in 2016. He initially hoped to develop Marrow Market Hall in Richland but said the challenge of working with multiple property owners sent him looking elsewhere. Osprey Pointe ignited his imagination. East Pasco may not be an obvious spot for an upscale development, but Gilbert’s said 50-plus acres offers enough room to create something special that will draw people to it. “The size of the canvas was critical,” he said. The EatyGourmet team is soliciting pitches from architectural firms. 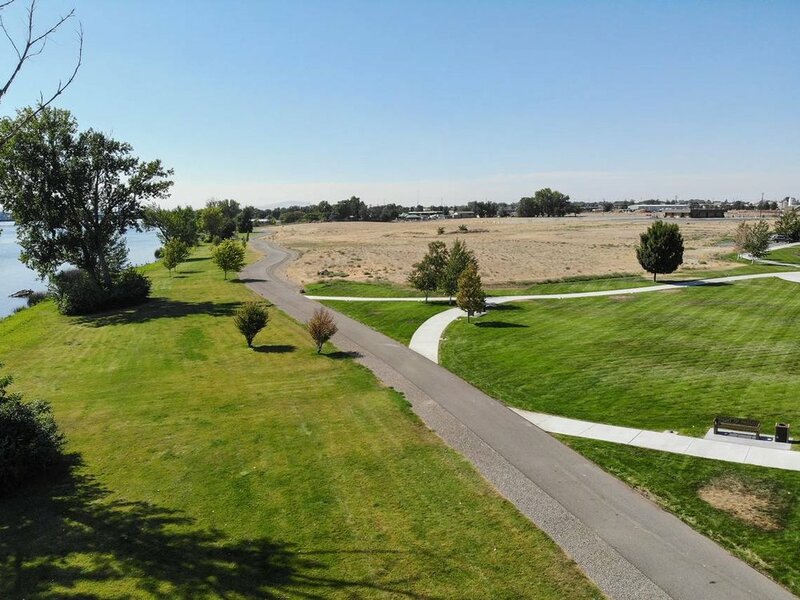 Gilbert said he wants to see what architects come up with, but said it won’t be Italian — a nod to the architectural style envisioned for the Port of Kennewick’s Vista Field redevelopment across the river. He said development could begin as soon as 18 months. Individual and group investors stand behind the effort. Gilbert declined to describe project financing except to say that it will be private and won’t seek public support. The port has actively marketed Osprey Pointe to prospective developers for eight years, hoping to capitalize on the picturesque setting. 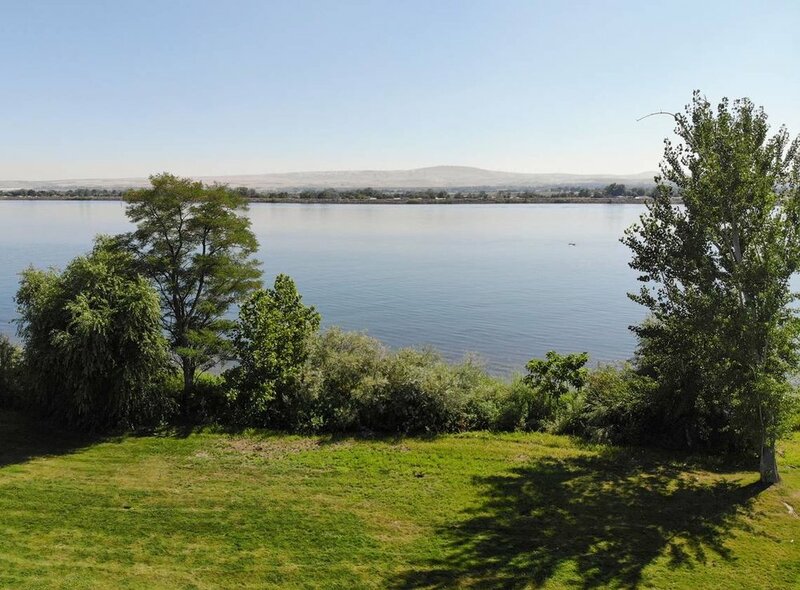 Osprey Point is one of the few spots in the Tri-Cities where the Columbia River is not contained by a levee. Gary Ballew, the port’s economic development director, said Gilbert reached out to the port. If or when Gilbert succeeds in establishing a development plan and financing, he will buy and/or lease individual sites from the port. While the concept is in its infancy, it promises to bring a welcome shot of activity to east Pasco. “It’s certainly a transformative project,” said Ballew.